Blog - Why don’t they make dishwashers the way they used too? We will explore each of these in more detail, giving some tips on how to make sure you are getting the best operation out of your dishwasher! Some of this is very detailed, so if you just want to know the best practices… be sure to read the tips at the end to make sure you are following each of them. For the most part, new dishwashers have to meet very strict energy and water consumption guidelines. They guidelines are set by the government. Modern dishwashers must use significantly less water, and less energy as well. As a result dishes are not allowed to “soak” in lots of water like in old dishwashers, and also the heaters are not allowed to stay on as long. Also, many new units sense dirt particles in the water and adjust the wash based in this information. If dishes are not very dirty, the unit may not run long enough to get your dishes looking the way you like. Basically, manufacturers are not allowed to build dishwashers in the same way they did in the past. In 2010 new regulations were put in place by lawmakers removing all phosphates from detergents. Phosphates were one of the main cleaning ingredients in detergents. Because these were removed, new detergents now contain oxidizers, surfacants, and enzyme additives that work together to break down and remove dirt from dishes. Enzymes – break down and eat proteins and starches in foods and stains. These are water activated and begin working at the beginning of the cycle. They also take longer to to work than the old phosphates, so short wash cycles and hinder performance. They also work best around 120 degrees, and die above 130 degrees. Too hot of water at the beginning of cycle and reduce performance. Oxidizers – break down non-protein stains and work to sterilize dishes. These are most active after the enzymes have done their job, later in the cycle around 122 degrees to 158 degrees. Surfacants – these work to rinse the chemicals and minerals from the dishes at the end of the cycle. These detergents work significantly different and believe it or not have a shelf life. Also, these additives react with each other and can destroy each other. They all activate at different temperatures, so too hot of temperature at the beginning of cycle can hinder performance. Improper temperature of water, too short of a wash cycle, not enough “dirt,” and old detergent will all greatly affect the performance of the dishwasher’s ability to clean. Scrape your dishes off, but to not pre-rinse. If there is not enough food particles the detergents do not activate to do their job, and also some dishwashers will measure soil level of water, and could shorten the cycle too much. Many people run their hot water in their sink to make sure the dishwasher is getting as hot of water as possible to clean dishes. Because detergents work differently, and certain ingredients work best at lower temperatures… too much hot water at the beginning of the cycle can cause the detergent not to work. Last, but not least… make sure you are using the best detergent! Enzymes in detergents will degrade over time. Aged detergents can actually go bad and not work well. Because of these we do not recommend buying any detergent in bulk. 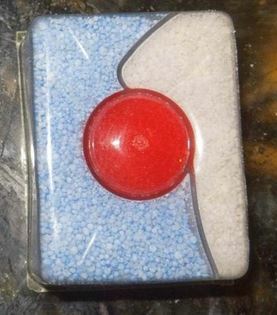 Fresh detergent should appear shiny and not dull, also if you were to squeeze in your hand, you should feel it warm up. Layered/Compartment Packs – these are like Finish Power Ball, Cascade Action Packs, etc. We have always been getting reports that these are constantly the BEST performing detergents. Many customer also find that placing these in the silverware rack (or similar area) allows the detergent to work right away and get better results. If you find these not completely dissolving, cut them in half and just use half of a tab. Dry Detergents – these are like Cascade, or Finish that you would pour out of a box. These work well, but because the ingredients do not release activate with contact of water, they are often times working against each other, and not necessarily working at best efficiency. Also it is easy to use too much. With the softness of water in the Northwest, you should never use more than one tablespoon. Liquid Detergents – not recommended. The ingredients in these are already in liquid form and are destroying each other before ever even opened. These go bad quickly and are the lowest performing detergents.